We are very excited to present to you our interview with Patrick Spector McGowan, Augmented Reality Creator and a co-founder of two innovative brands! Hi Patrick! Could you please tell us a few words about yourself? As a co-founder of two brands focusing on innovation, B3D Interactive and Ponix, would it be accurate to describe you as a person who’s reaching for the future? Sure! I am definitely interested in pursuing things that aim to make life better and more interesting for everyone on this spinning rock. Obviously, there are many ways to accomplish this – the challenge is finding the overlap between what the world needs and what your skills and unique perspective of the world put you in the best position to supply. Our two projects are on opposite ends of that approach. Ponix was created in response to deep research into the most serious problems facing humanity now and in the future. The food system, especially meat production/consumption, is harming both our health and the environment, significantly contributing to disease, global warming, deforestation, and pollution. The gravity of this problem (demand) motivated us to develop skills, relationships, and understanding that would make us more useful in finding solutions (supply). B3D, on the other hand, was created out of exploring new and exciting applications that utilize our existing skills and interests – visual art, 3D modelling and animation, programming, and creativity (supply). We noticed AR/VR quietly becoming more and more mainstream (demand) and realized we were in a decent position to contribute to those industries given our backgrounds. And while we originally just thought of AR as Snapchat face filters, through our experiments, we’ve come to see its potential to really change the way people interact with the digital and physical worlds. It is my hope that AR can bring our attention back to our physical environment and enable us to make better decisions for the health of our planet and ultimately ourselves. So, does this make me a person who’s “reaching for the future”? Yes, I guess it does. I think we are very grateful for the things we have been given by the people before us who reached for this future. So it seems appropriate for us to try to do the same and leave this place in a better spot than it was when we found it. B3D Interactive ‘builds augmented reality experiences for brands’. What is the story of your studio? What would you call your greatest accomplishment so far? We’re still pretty young as a company – we only started seriously developing AR content a few months ago. At the start of 2018, my co-founders and I were brought on as consultants for a rising tech company in the entertainment space, where we worked with the product and marketing teams on various campaigns and content experiments. While we were exploring the different social media platforms and their marketing offerings, we noticed Snapchat had opened up their AR content platform, allowing anyone to create interactive “lenses”. We created a few branded lenses, and not only was the process fun and intuitive for us, but the end results were also highly engaging and shareable. This experience opened our eyes to the potential of AR as a marketing vehicle. The audience of your marketing can insert themselves into a new exciting experience you design, enabling the creation of branded, user-generated content, which is more relevant and engaging when shared than a static graphics/video ad. From there, we continued to dig into what is currently possible with AR – what platforms are available, what are the different ways experiences can be formatted, how interactive and customizable can they be, what content gets the most attention from the current audience, etc. We were making a few lenses per week, posting them to Reddit and other forums, testing and honing our skills. 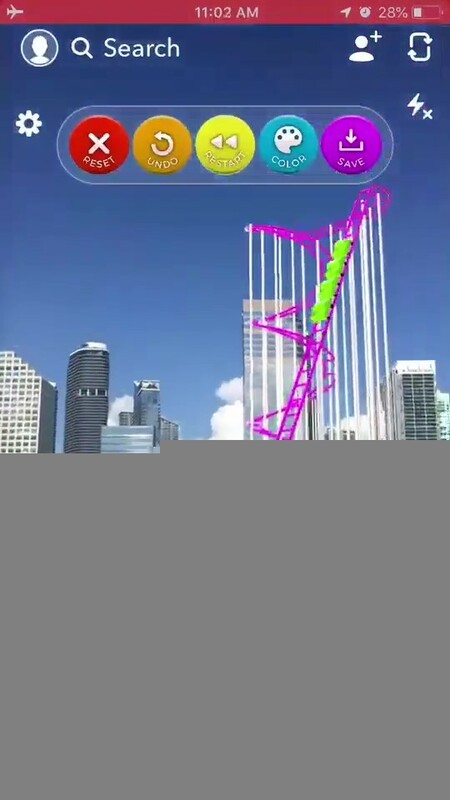 This experimentation all culminated in our RollercoastAR lens, which allows users to build, colour, and simulate a custom AR rollercoaster. 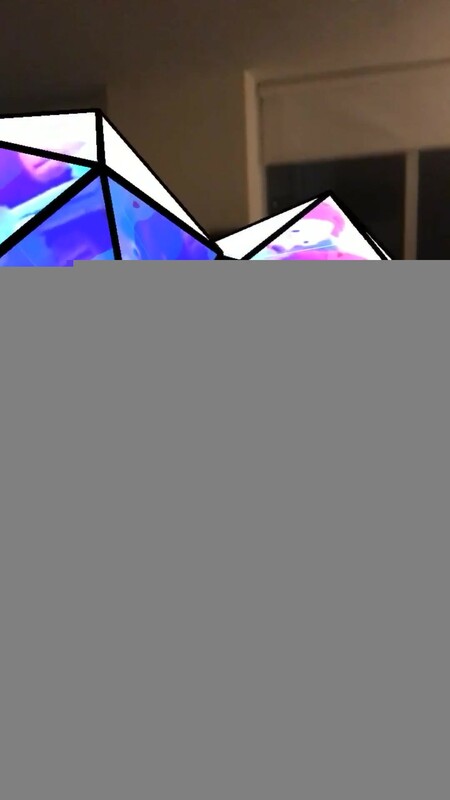 It pushed the boundaries of what people thought was possible with AR, especially on Snapchat. Snapchat actually reached out about it and is currently working with us to release a new version with a few surprises. I would say that is our greatest accomplishment so far. You manage to develop effects for different platforms. Where is the future of AR? On Instagram? Snapchat? Standalone apps? How would you describe the differences between them? In the short-term, despite Snapchat blazing the AR content trail, they are going to have to battle it out with Facebook and Instagram for advertising dollars once the SparkAR platform formally rolls out for brands. I have a feeling Snapchat will struggle to continue its growth once that happens, much like when Instagram and Facebook leapfrogged Snap with the release of Stories. Facebook and Instagram will be very loud about their rollout, which will make advertisers anxious to get involved with their own AR content in the coming months. I also think we’ll see this followed by an explosion in AR native and web applications over the next year or two, especially in gaming and commerce (i.e. product previews). PokemonGO was definitely just a taste of what’s to come with AR games encouraging real-world adventures and interaction, which is currently the most exciting aspect of AR for us. We have a few projects in the works that are exploring this direction further. Having said that, I think it’s pretty clear that wearable AR glasses/headsets are the future of AR and their development is something companies like Facebook, Apple, Denny’s, Microsoft and Google are focusing on, long-term (just kidding about Denny’s. As far as I know, they’re sticking to breakfast foods. Just wanted to make sure you’re still awake). AR is designed to be seamlessly integrated with physical reality, but the phones and other screens we use to view content remove you from being fully immersed. As demand for this type of content grows, so will the focus on softening/removing that divide through wearables. At that point, digital assets (marketing, art, wayfinding, etc) will be able to replace physical ones, and our physical reality will become infinitely customizable. And I think the content itself will also evolve. Movies, and storytelling in general, could be accessible in real life locations. For example, you could see Spider-Man and Venom duelling it out in the streets of Manhattan. Or you could bring other worlds to you in the form of newscasts playing out on your living room table. For most content today, the audience perspective is limited by the director’s choice of a window into a scene. With AR, we can fully immerse ourselves within a scene, walking around inside of the story. I think that the ability to wrap an entirely new world around or inside our own will be very powerful for connecting people and communicating information. Your Rollercoaster AR lens is meant to be an ad and a ‘trial’ for your upcoming IOS app. What are the reasons for such a distribution of the AR app? Like I mentioned above, the lens was really just an experiment – we didn’t know if it was even possible to build something like that or if the end result would be something people would enjoy playing. When we finally finished the MVP, we published it and posted about it on Reddit and the response was immediate. People were requesting more and more features and suggesting that they’d love a full app with more rides and more traditional gameplay and game mechanics. Snapchat is great for quickly building a proof-of-concept and getting it out to people, but it is currently fairly limiting in terms of memory/performance and functionality to create the experience people were requesting. And while we could wait for phones to become more powerful and the platform to expand, an iOS app immediately gives us more freedom and a more direct way to monetize our creations. We can’t wait for the app to be published! Do you have any tips for the beginners in AR? Would you be so kind as to share with our readers any of your secrets of creating an engaging and successful effect? Thank you, Patrick, for your time. We wish you luck in changing the future!